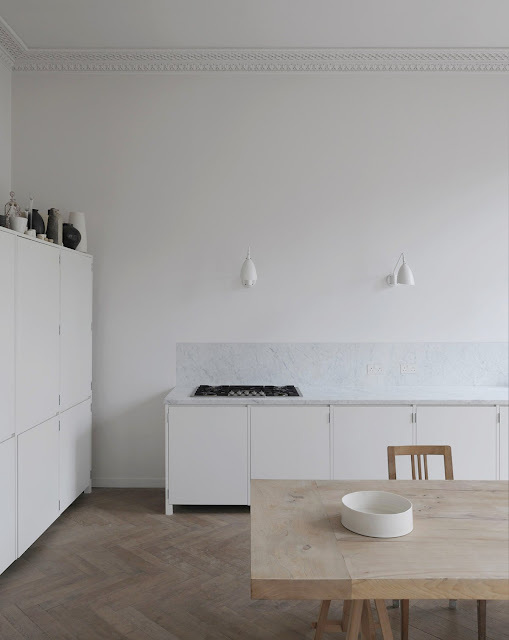 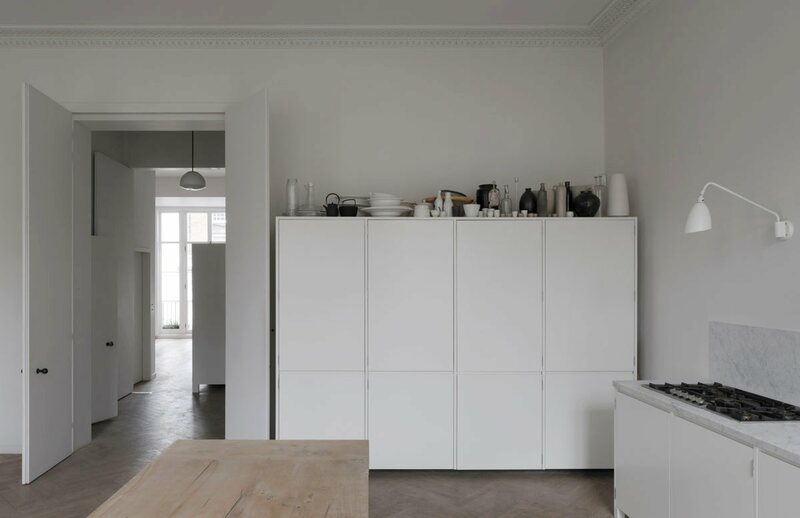 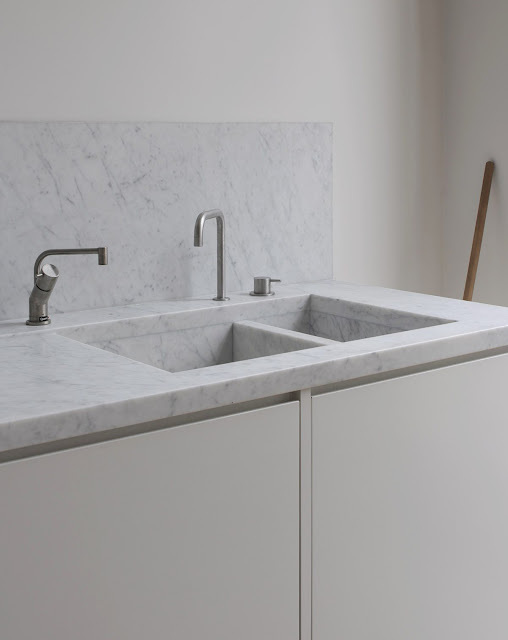 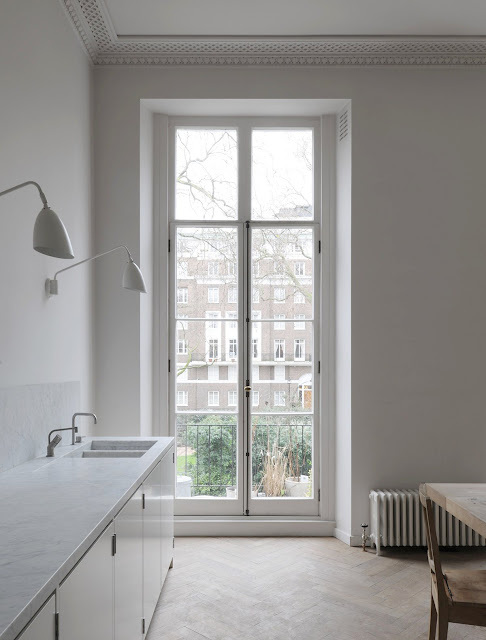 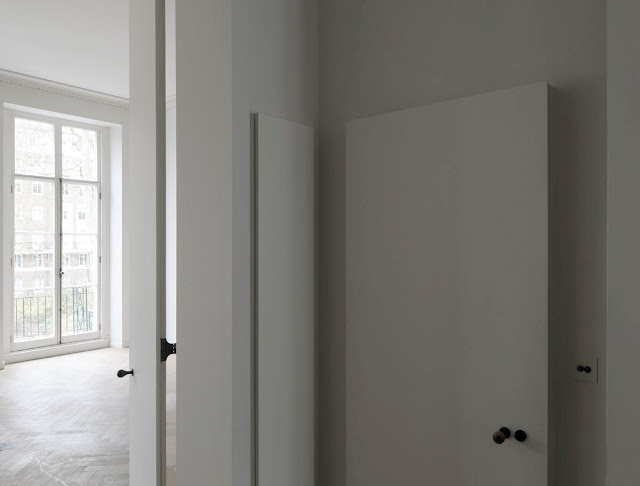 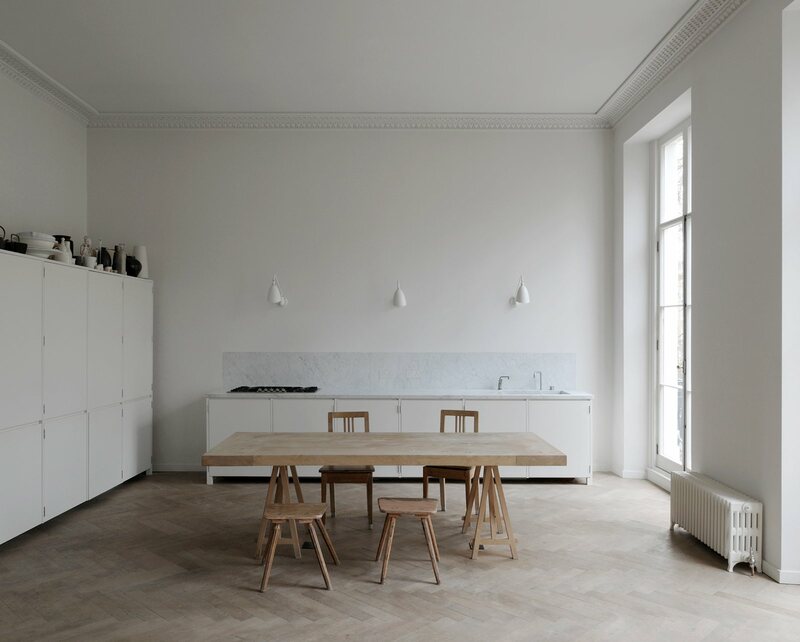 London based DRDH Architects redesigned a piano nobile apartment in a Georgian house in Bryanston Square, London, with a minimalist approach that draws inspiration from Danish artist Wilhelm Hammershoi’s sparsely furnished interior paintings. 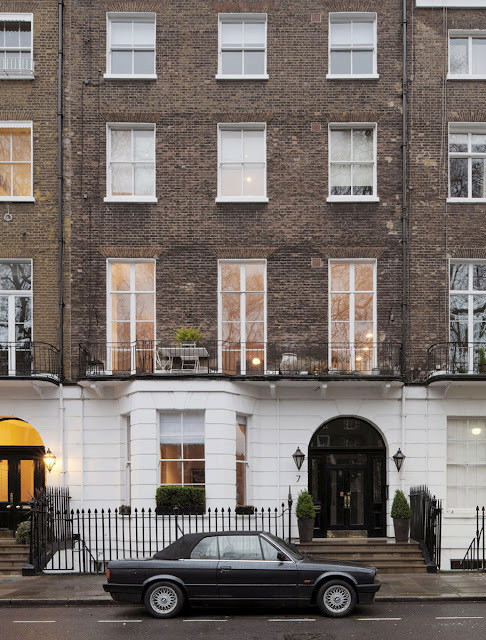 “The completed project is for a piano nobile apartment within a Georgian house in Bryanston Square for the couturier Anna Valentine. 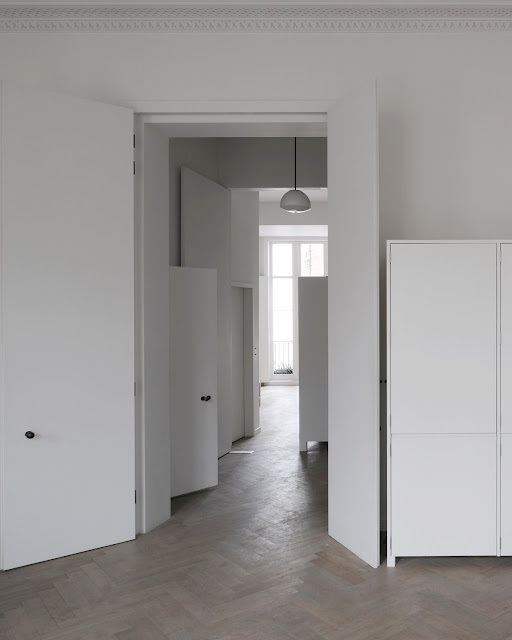 The apartment restores aspects of the original house, notably the principal room to the square, whilst opening up the plan to light and the spatial interconnectedness of contemporary life. 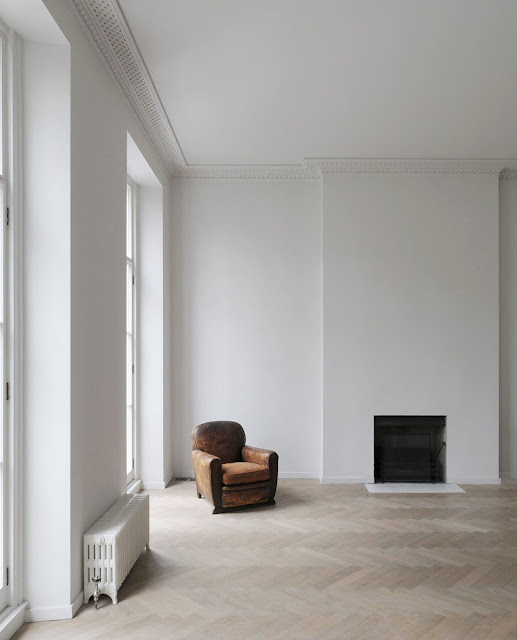 The atmosphere of the resultant spaces draws inspiration from the compelling, sparsely furnished interior paintings of Danish Artist Wilhelm Hammershoi (1864-1916), echoing their quiet introspection in sequence, arrangement and tonal palette.